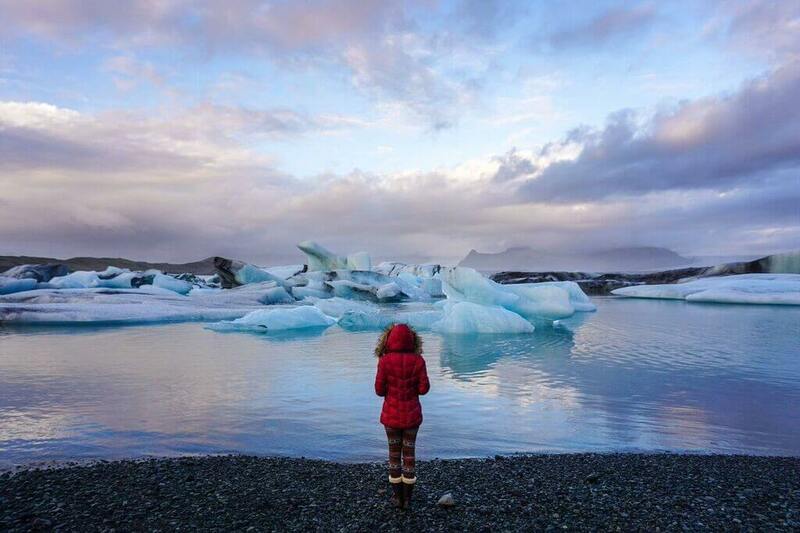 Iceland has increasingly become a more popular tourist destination thanks to its incredible landscape and cheap flights from Europe and North America. While the country is expensive, Iceland is the kind of beautiful that makes it worth the cost of visiting, and there’s so much that you can see and do even if you only have 48 hours or in my case, 10 days. That’s a pretty short trip for me, considering I tend to spend a month or longer in each country I visit. That wasn’t in the cards for Iceland, but by splurging on certain things and saving on others, my buddy, Maksim, and I were able to enjoy the country with maximum freedom and minimal costs. My personal spend for 11 days in Iceland was $937 before the flight, or $93 per day. Maksim and I might have been able to stay for a bit cheaper in Reykjavik had we gone for a hostel dorm room, but I honestly feel like those days are behind me now after doing dorms for 2 years straight in Southeast Asia. We rented an Airbnb flat with two warm and cozy rooms and a nice big living room and kitchen. Here are hostel suggestions and here are hotel suggestions, if you’d prefer to go that route. There are hostels and pensions all along the ring road that you can stay in as well, but I much preferred renting a 4×4 camper van, which would probably work out to almost the same price. Additionally, with a camper van, you can go anywhere you please and that kind of flexibility allowed us to camp right next to a glacier lagoon, famous waterfalls, and to explore the highlands. I took an airport transfer from the airport to the hotel nearest to my apartment rental in Reykjavik and then got a $75 rental for the two days that we were staying in the city from Sad Cars. We ended up with a full tank when we rented the car and had only just finished it when we returned it. They don’t have a policy that you have to refill the gas before returning the car, so that saved us some cash! As for driving the ring road, I feel that there’s no better option than a 4×4 camper van, as I mentioned before. It allowed us to see some waterfalls and explore the highlands that aren’t accessible without a 4×4 car. We also saw the northern lights three out of the seven nights we were camping the ring road, simply because we had flexibility. Plus, we could stop any time we wanted to take photos. Gas is expensive in Iceland as well, but when split between two or even three people, it’s doable. Food is very expensive in Iceland. A basic grocery store sandwich will set you back €9! The cheapest grocery stores are Kronan, Netto, and Bonus. Most of the cheaper stores are closer to Reykjavik, so stock up on imperishables before you leave. A big way that Maksim and I saved money was by cooking everything ourselves in the camper van, which has a sink, stove, and cookware. We never even set food in a restaurant in Iceland. Maybe we missed out, but this was our way of saving money so that we could splurge on other things. Each morning we had meusli and tea, for lunch we had sandwiches that we made ourselves, which made it much cheaper, for snacks we had boiled eggs and cookies and crackers with cream cheese, and for dinner we’d often have sausages and potatoes or pasta with pesto that Maksim brought with him from Germany. As for drinks, the water in Iceland is free and safe to drink as long as it’s the cold water and not the bubbling sulfuric stuff (obviously). If you think you’ll want alcoholic drinks during your trip, make your purchases in duty free before you leave your home or at Reykjavik airport. (Update: You can find liquor outside of the airport but they’re expensive and beer is weak and expensive as well). If you have an unlocked phone, definitely get a Vodafone SIM card! It only cost me €13 for 3 gigabytes of data which was shockingly good all over the country. Maksim and I didn’t even need to use our GPS because the coverage was so good, we just used Google Maps on our phones to navigate. Maksim and I actually cut our expenses down significantly by traveling during off-peak season. In the spirit of full disclosure, I was also provided a media discount for my 4×4 rental. Regardless, you can expect just about everything, from car and 4×4 rentals, to accommodation, to be about double the price during high season, which is during the summer. Most of the campgrounds are also free during the off season since there’s nobody around to manage them, but they still remain open to discourage back-country camping and off-roading. You also have almost no chance of seeing the northern lights in the summer, which was too important to me to miss. Maksim and I spent €75 each for a whale watching excursion and that was amongst the cheapest tours available in Iceland. If you take tours instead of self-driving, plus pay for accommodation and food in restaurants, you’ll end up spending more than we did by doing things independently. Thankfully the natural attractions don’t have any admissions fees, so once you pay for your transport, food, and accommodation, your major costs are covered, especially if you visit during low season. Could we have spent less? 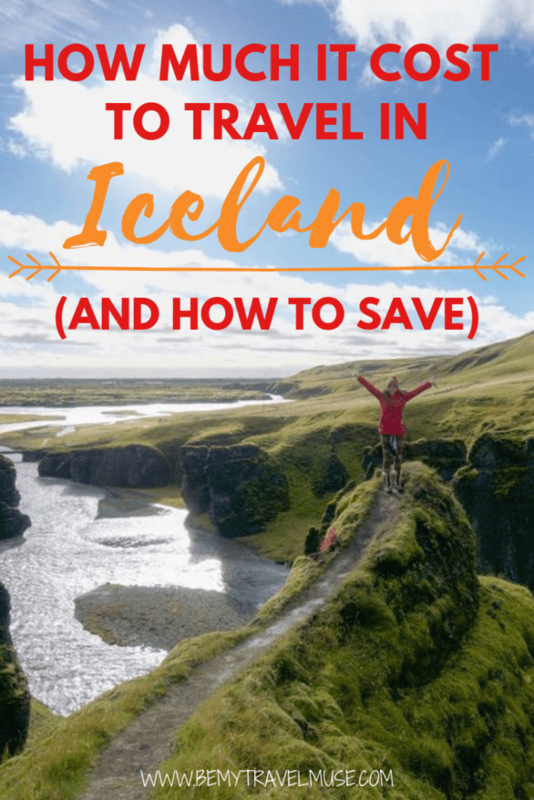 Yes, where there’s a will there’s a way, but our method gave us comfort and ultimate flexibility which was exactly what I wanted for my Iceland adventure. 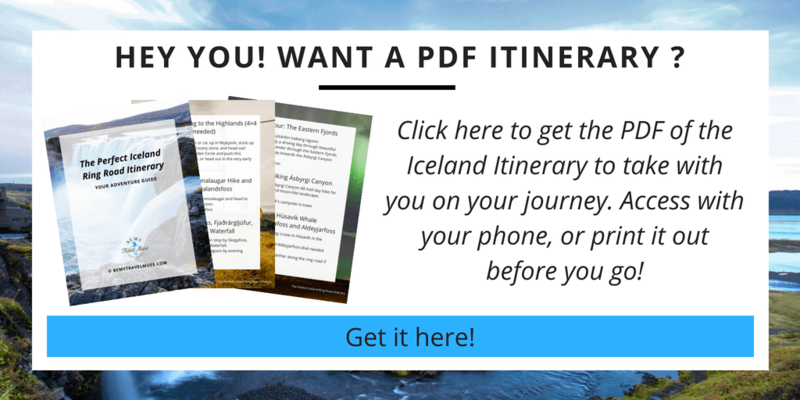 Dreaming of an epic adventure in Iceland? Thanks for the tips! I am trying to plan a fall/winter trip and the campervan seems like the way to go for us. I’m a dude that loves a good shower from time to time. Are there facilities at the campsites and are they available to use outside of summer? great tips and guide! Would love to visit Iceland soon! yup thats true, but the statement about the percentage in the beer is not true ? It seems like you actually can but it’s just very expensive. Iceland has a history of alcohol prohibition. Yes, a history of alcohol prohibition that ended more than 27 years ago. This is rad Kristin thanks for the tips. And Sad Cars, HA! What a funny name. I’ve always thought it’d be crazy expensive, and even though that’s about x3 more than my normal daily budget, it’d doable especially with another person. And I feel ya about hostels, getting to the point where they are a bit annoying. Thanks for the tips, been following the entire trip and want to go this year. Also, just a heads up, I think the links to the “read more” articles at the bottom are a bit funky. Great post, thanks. I’ve been visiting Iceland in three- to five-day chunks. The country is pretty expensive. would you mind telling me what you cost for gas was? Another great, informative post. Iceland has been on my list for a long time. I was going to go this summer but the country went on strike so I had to cancel. I think I want to go during low season like you and see the northern lights while I’m there. I agree about Airbnb. You can find some nice ones there for a pretty low price too! Beautiful photos. Like the light effect on the car and northern lights shot! I just walked into a store Reykjavik. This was for just data, no calling or texting. Maybe it’s only a deal in person. Iceland is the safest country in the world according to multiple sources, so I’d personally go for it! One of my female friends rented a camper van solo and had zero problems. Sandwiches are expensive in sandwich shops, but $9 for a sandwich in a grocery store is just not correct. 1000 kr. might be accurate for gas stations and 10/11 maybe, but for normal grocery stores, sandwiches go for around $5 (even cheaper if they’re the store brand). The sandwhich price is exaggerated, last year the general grocery store price was around 4€ and today it’s 6-7€ (price changing due to the strengthening of the Krona, not raised prices locally. I believe the author is going off convenience store prices at best even THEN the price sounds off. This article is a bit misleading… the sad car you took is definitely not a camper and the go campers on the photo is at 249 EUR per day and you DO have to fill it up with gas before you drop it off again… How did you fit that into the 93 USD per day budget? That´s not true, the low in Iceland only allow you to drive on roads and stay over night on a camp side. You can not drive anywhere you like and camp anywhere you like! The glacier lagoon permits camper vans, the campsite was right next to the waterfall, and the 4×4 allowed us to access the highlands. I thought I saw in your posts, a recommendation for a local place to buy traditional sweaters in Reykjavik but now cannot locate it. Did I imagine it? If so, any recommendations? Thanks! That must have been on another site because I didn’t do any shopping there. Sorry! My wife and I are planning a trip in early September for 8 days. Is it necessary to have 4X4 during our visit? I’m travelling to Iceland for 5 days in March. Did your $93 per day budget include your accommodation costs? All of our accom/transport is already booked, so just trying to work out how much spending money to take! I slept in the camper van so yes. October. Some roads were closed due to flooding, though. Hello! I am wondering how much the cost was to rent the 4×4 camper with your media discount? I am trying to figure out costs for a fall trip and am wondering how much it will be, I will also be getting a media discount 🙂 thanks so much for your articles. they are wonderful! Hi Kristen, thank you for sharing 🙂 you said you slept in a camper van, where you cold? If so what kind of gear did you have? My friend and I are going in July and camper van sounds fun. It has a little space heater in it so it was fine! Hey Kristin, Love your blog! I would love to feature a link to this post about Iceland on a new website I am getting ready to launch – would you be interested? You’re welcome to link to me! Hi Kristin, I am a solo female traveler planning on hiring a camper van at the end of October to early November this year. I read some posts on other site and a lot of locals are strongly advising against hiring a camper van (due to strong wind gust it may get tipped over etc.). How was the weather when you were there and did you have any issues with wind? My camper van was a converted SUV so it was fine! Its incredibly windy so it’s more the doors you need to worry about. Hold onto them when you open them! A question on costs if I May? Not counting exchange rate variance and not exactly sure of the type of 4X4 you got (I’ve gone for the cheapest in this instance) the cost of the 4×4 alone is $1940 which divided by 2 is $970. How can the total cost be $937? I received a media discount for my 4×4 however May might be high season, therefore it is almost double the price, and the prices appear to increase year over year. Nice article.. Can I commute on my own, using public transport incase I don’t hire a camper van. I don’t know driving n I plan to travel solo. How is the connectivity? Also are there hostels across all major tourist attractions? Yes there are hostels, and I am not totally sure about buses since I didn’t take any, but there are definitely tour buses! Great post I did enjoy all the tips..In fact I’m planning to go next summer to Iceland along with 2 friends (still can’t decide between June, July or september).. we’re mainly interested in hiking and long exposure photography so the idea of a camper van was a great discovery! Well the country is a bit too expensive so please can you estimate what would a 7-9 days trip cost it would help me a lot (camper van for 3 people + gas + food+ whale excursion+ glacier excursion) we might opt for some night stays in hostels too for good night sleep and bathing.. Many thanks again! Hi Firass, I can’t really estimate that for you, but this is supposed to be a guide to help you figure it out. Hope it helps! What time of the year you went?